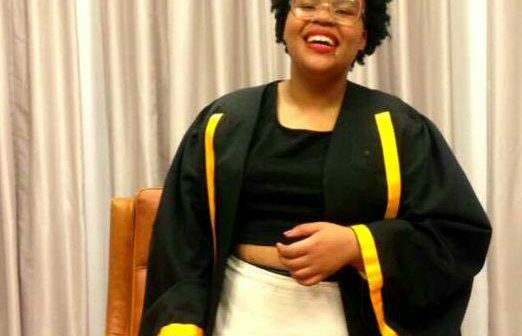 The inauguration of Nhlakanipho Mahlangu as the second black female President of the Rhodes University Student Representative Council on Friday marked a start towards the growth of female leaders in student governance. The historic elections, held during Women’s Month, saw a ground-breaking first for Eastern Cape’s oldest University (113 years: a 15-member student council, more than half of whose members (nine) are women. Zimbabwean born Kuda Chingono is vice president to Mahlangu. Mahlangu was handed her reins by Kholosa Loni, the first female president at Rhodes University in 2009. “Throughout the campaign, I was warned that the University is not ready for a female president. Patriarchy and hyper masculinity are not phenomena to Rhodes University and in society. As female leaders, we navigate and rise above such phenomena every day,” said Mahlangu. Rhodes Vice-Chancellor, Dr Sizwe Mabizela said he was impressed by the student body for advancing transformation in such a powerful and democratic manner, particularly during Women’s Month. “Rhodes students acknowledge the power in women who have been absent in leadership positions, particularly within student councils. This is an incredible opportunity for the nine women to prepare and learn towards a future as leaders of our country,” he said. The University’s Eden Grove Red lecture theatre was filled to capacity on the evening of the inauguration, with eight former SRC Presidents in attendance, student leaders from other Eastern Cape universities and the Independent Examination Board (IEB) chairperson, Mbulelo Nhlabathi. This year’s voter turnout was at 44% of the student population. Mahlangu, from eQonce (King William’s Town), is doing her third year in Bachelor of Social Sciences, majoring in Industrial and Economic Sociology and Politics. She says she is looking forward to leading in a way that seeks to build leaders in other students and will continue to work within the realm of social justice activism. “I am very excited to be working with a council with so many young black women. I have a great respect for women in leadership. My granny, mother and aunts raised me, so my earliest experiences of sound leadership has come from strong black women. The time has come for us to start challenging the classist, ableist, patriarchal, homophobic, transphobic and xenophobic structures of this society,” she said. 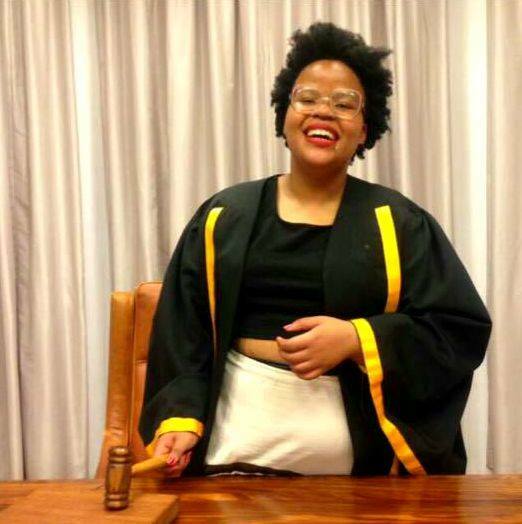 Outgoing SRC President, Rolihlahla Mabaso highlighted the fact that the Rhodes University campus has become a hub for transformation that is needed by the entire world. “There has never been a more necessary time to fight against structural, material and ideological patriarchy. There is a need to address violence associated with patriarchy for the betterment of Rhodes University and beyond,” he said.